The world of insurance brings along with it a host of crucial forms and paperwork. There is no way to deny that each one of them has to be executed in utmost sincerity as there is no scope for mistakes and errors. The need for a standardized approach has caused the development of accord forms that are ready to use templates which can be downloaded as per one’s requirements and duly filled up for the different purpose of insurance. You may also see Sample Consent Forms. This certificate of liability insurance would come in handy when you are required to issue a liability insurance certificate to your client and you can easily customize it as per your needs. 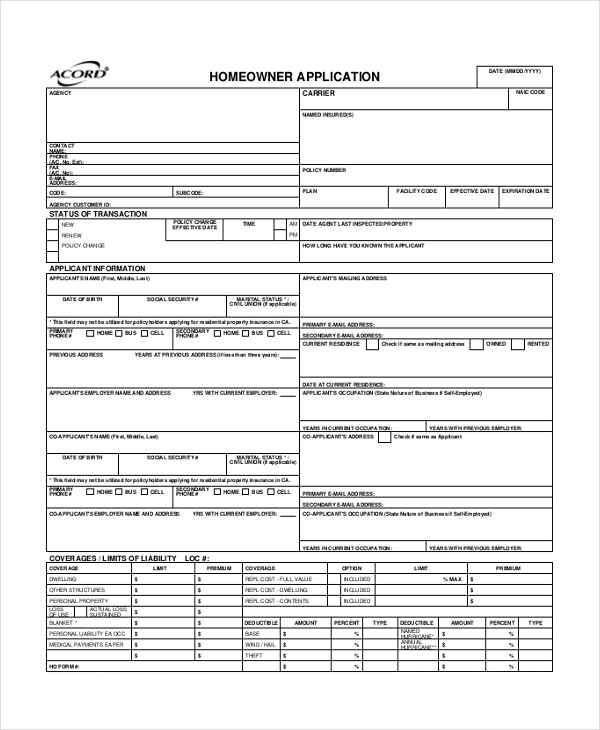 This one is yet another useful format of insurance form that can be filled up by the applicant easily. You can add your company name and use it for your commercial purpose. 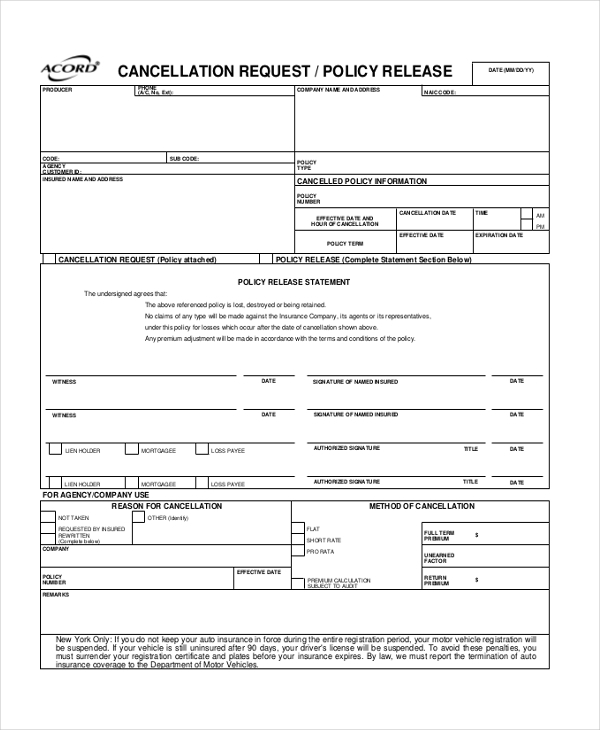 When you are in need of a form that would denote the cancellation of any insurance policy, this form would come in handy. You can easily download and print and give it to your clients to be used up. 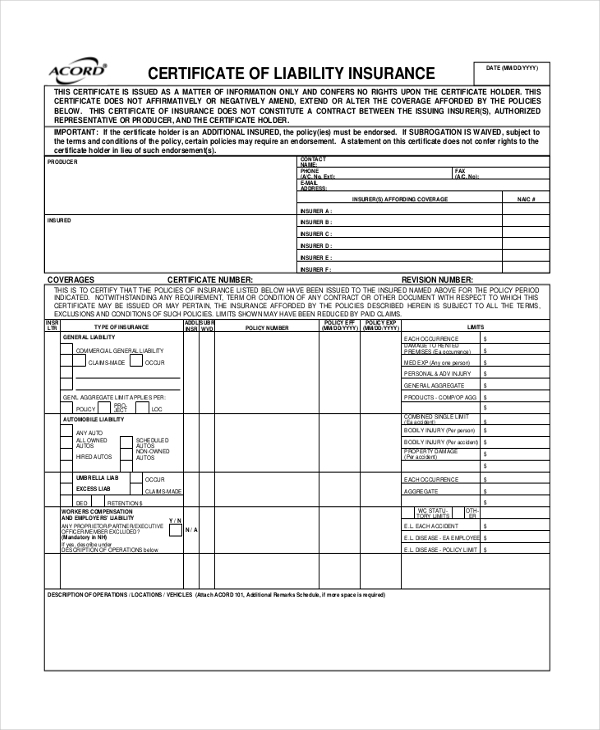 This one is a useful piece of insurance form template that can be customized to convert into a certificate of insurance. The best part is that you can change it right in the way you want it. 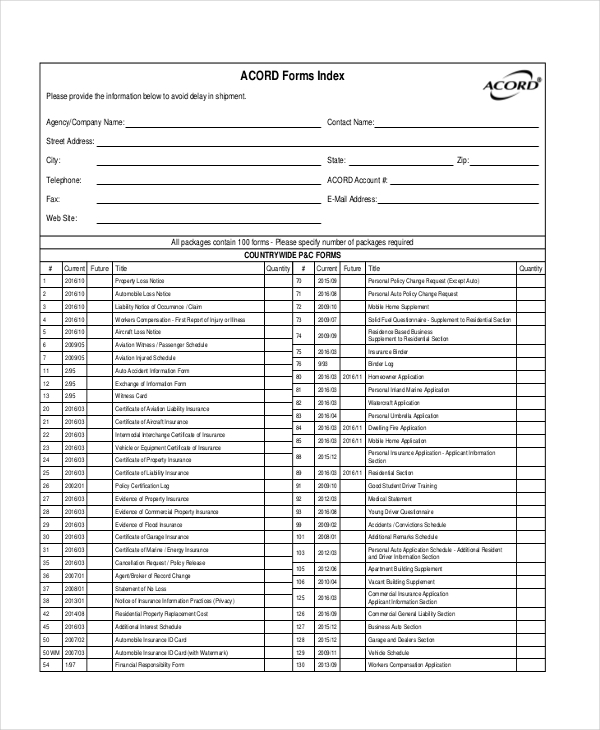 Yet another useful piece of the template from Acord, this file can be customized, downloaded and printed to get the job done. There are no hassles involved in the process. 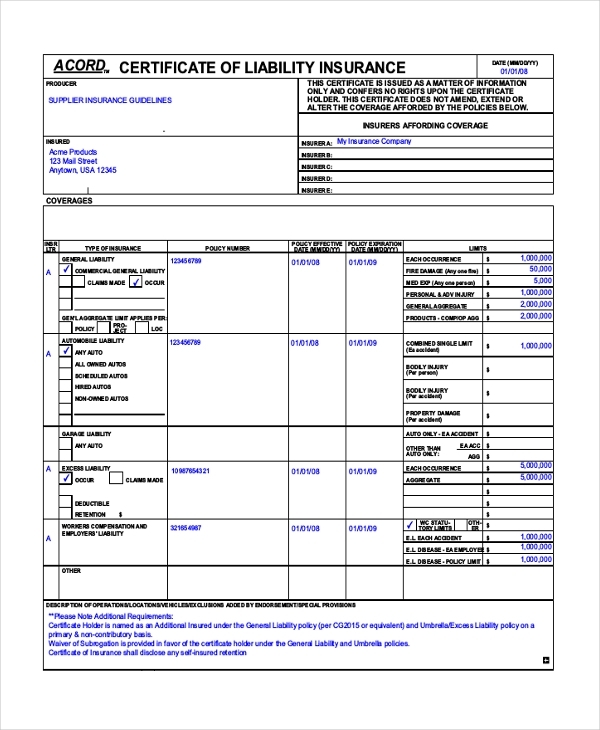 Now you don’t have to design a liability insurance certificate from scratch. This form is a great way of reducing your efforts; you will just have to go through the form, make necessary changes and you are ready to go! A perfect item to get started in creating the certificate of insurances. Needless to say, you couldn’t have progressed a bit without the aid of these ready to use template forms. If you are in search of the template forms that can be used for the purpose of soliciting home loans, then you have landed the perfect place. A bit of edit and customizations and it’s ready. 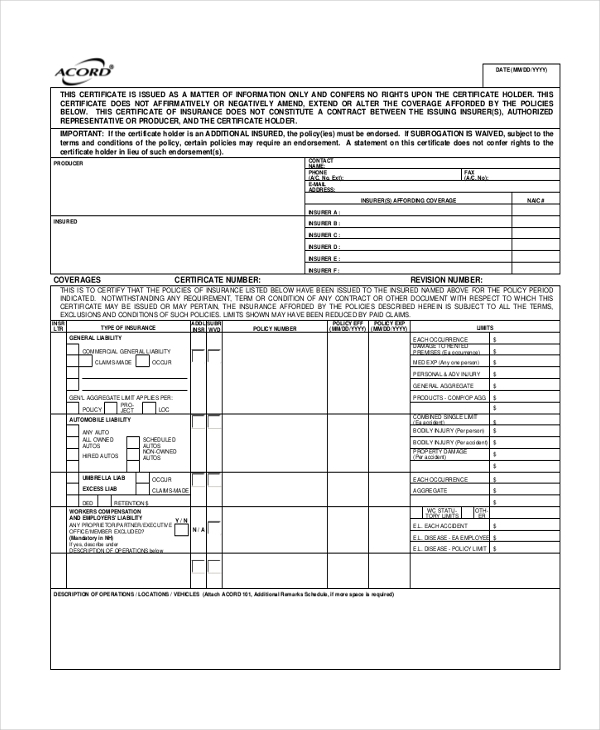 Last but not the least, this form is a wonderful piece of the handy template that can be edited and used for the different purpose of insurance. 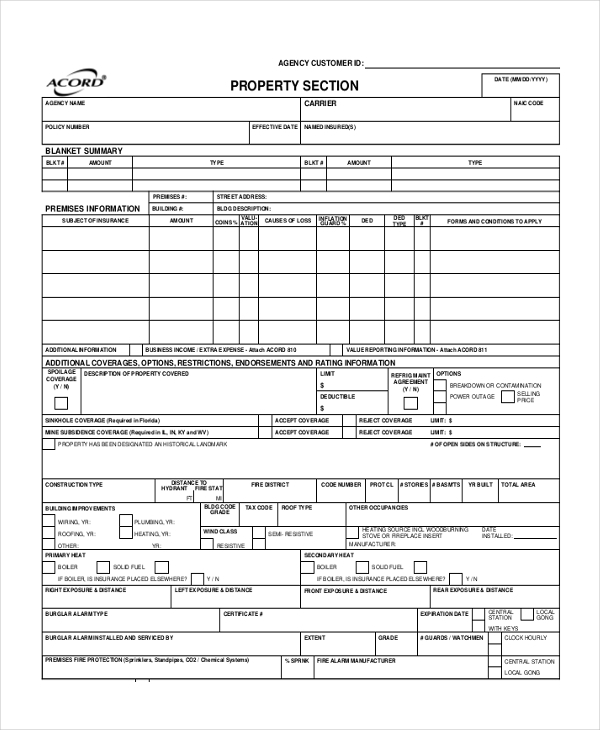 Why are These Accord Forms Used? The Acord forms are a great source of relief to the insurance providers as they can be used to include a valuable piece of information. Plus, there is hardly anyone who enjoys writing everything in hand and there are chances of errors as well. Acord brings a fine solution to these disputes and all you have to do is just browse through the available templates and use it up after required edits and customization. You can also see Guardianship Forms. 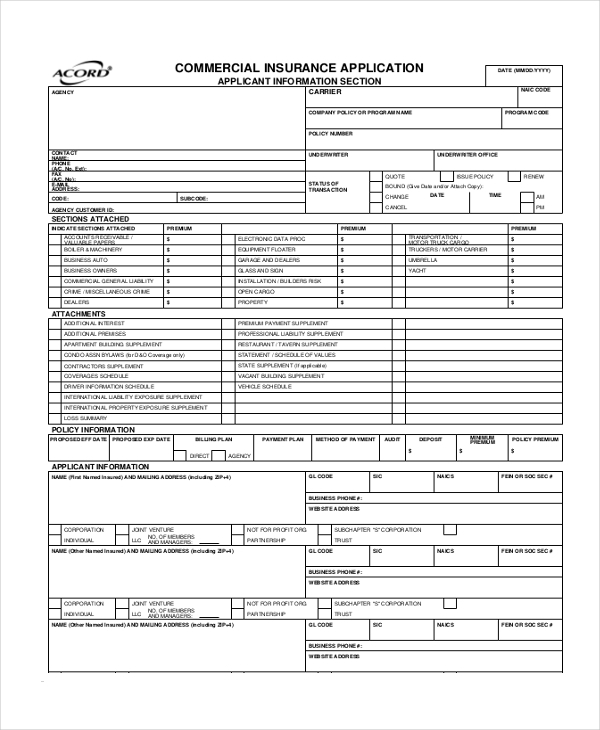 What are The Features of Acord Forms? Each of these Acord forms are developed by skillful and trained experts who have a full understanding of the different complicacies and types of insurance policies. Therefore, you can browse across 25 different templates of a certificate of liability insurance that can be used for a variety of purpose. So regardless of what your requirements are, Acord forms are a perfect way to get started and the best part is that you can access all the documents from your devices through the cloud. 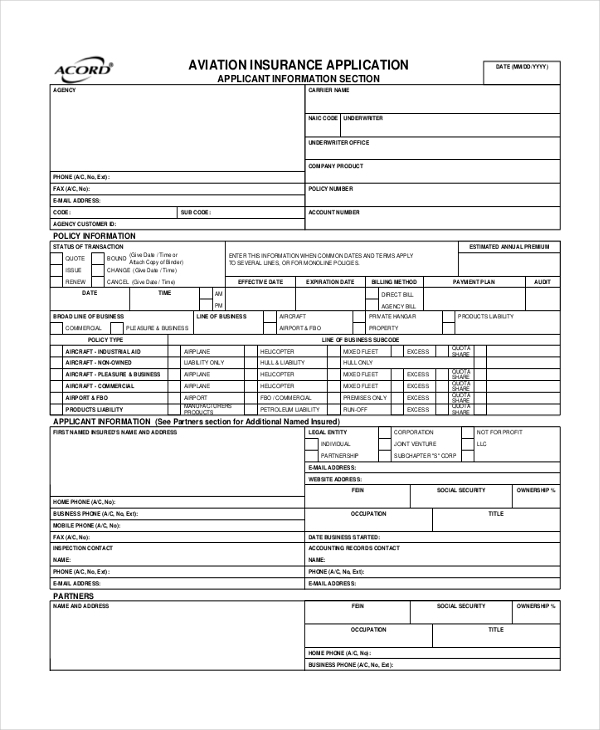 You may also see Deed Forms. Regardless of whether you need to take a quick glance through your business or a detailed analysis, these templates are great for offering an insight at a short notice. The paperless system and ready to use templates can be the best fit for a concern that has to take a lot of things at once. You can also see Cover Letter Examples.